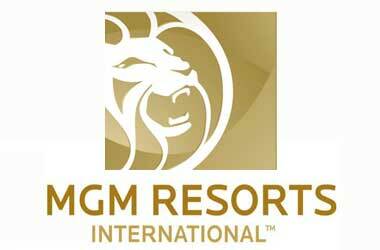 A new responsible-gaming program will be launched on properties of casino operator MGM Resorts International after the company signed a deal with British Columbia Lottery Corp. (BCLC) last week. MGM Resorts entered into an agreement with BCLC during the recently-held New Horizons Responsible Gambling Conference in Vancouver, British Columbia, to license GameSense a program that offers education on responsible gambling. GameSense is likely to have a presence on MGM facilities through information centers enabling players to avail of features that encourage behaviors for reducing gambling issues. Some of these include setting time and money restrictions as well as help in discussing the problem with family and friends. Placement of kiosks on casino floors is also being discussed. In addition, MGM intends to donate a sum of $1 million spread over five years to UNLV’s International Gaming Institute, which is planning to conduct research based on findings from the GameSense program. The research is expected to provide inputs to further improve the program. Feldman stated that the UNLV’s research will have a widespread impact noting that it will help the company learn more about addressing problem gambling through customer service rather than having to police gambling habits. MGM hopes to rollout GameSense across its properties by the end of the current year. Jim Lightbody, BCLC president, said that he was thrilled to see MGM Resorts acknowledge the value of a program such as GameSense and that the company was aligning itself with BCLC to reduce harm caused from gambling issues. According to Feldman the program has a larger scope than just dealing with people suffering from addictive behavior. He believes that while it is unethical for the industry to identify those with problem gambling, the platform can be used to have a broad-based relationship with customers to encourage positive behaviors. The conference also discussed other issues that worsen problem gambling such as free drinks typically provided by casinos to players. Feldman said that education was the best way to alert people to the effects of mixing the two. He observed that players need to appreciate the impact of drinking on gambling and make informed choices.